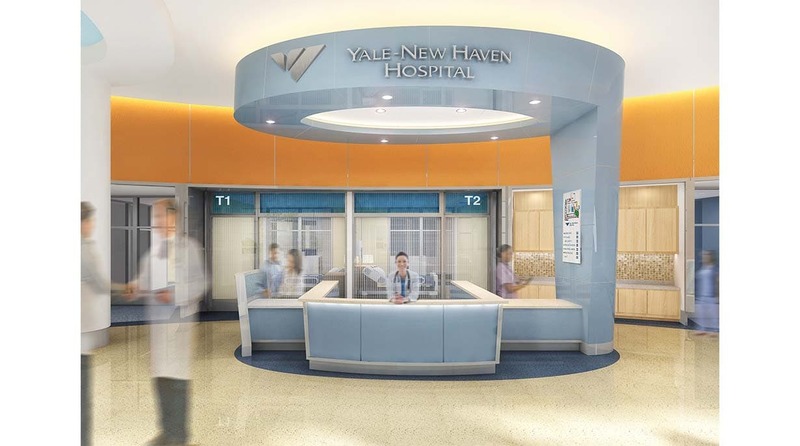 The goal in renovating the emergency department at Yale New Haven Hospital’s St. Raphael campus was to streamline patient intake, registration and the triage process. Using a “split flow” operational model allows higher acuity patients to be seen immediately and reduces the wait time for patients with less acute conditions. 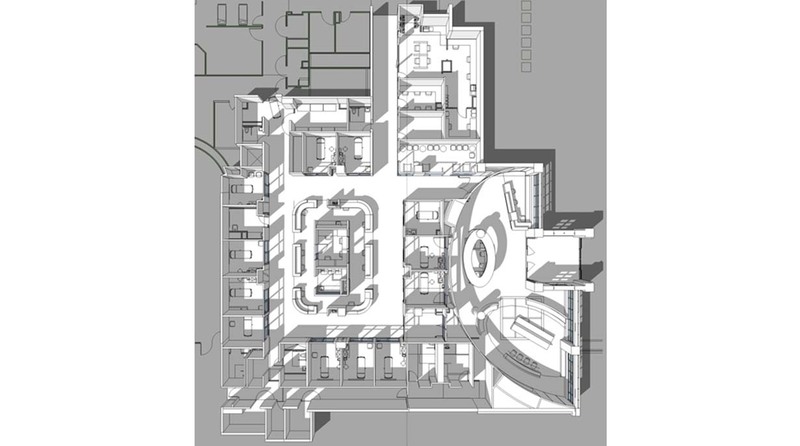 The layout allows the space for clinical operations to flex up or down based on patient volume. Creating a comfortable patient lounge both frees up available exam rooms and creates a more pleasant patient experience.